Elspeth and Willa end each day with their mother reading to them. When she tells them that they are soon to go on their summer vacation, and then begins to read Anne of Green Gables, the girls are able to guess their destination. During their trip, the girls visit a house in Cavendish that had been familiar to the author, Lucy Maud Montgomery. They also walk across the road to the location of Montgomery’s own home. Only the brick footings remain, but the girls are able to recreate the famous house in their imaginations. Classroom Connections: Summer in the Land of Anne is a beautifully illustrated picture book that would make a great read-aloud in a primary classroom. 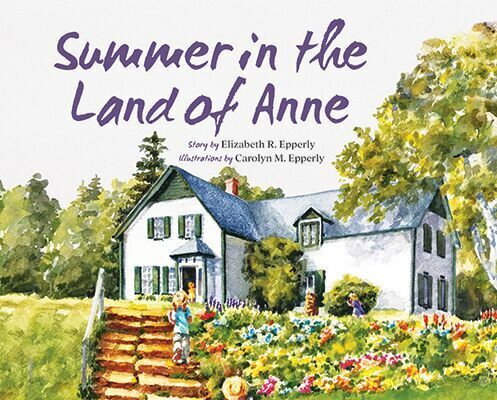 It could play an integral role in a literature-based-theme about Prince Edward Island, provide a great introduction to the Anne books, and become a source of inspiration for young writers. This story also provides opportunities to engage students in the use of effective reading strategies including making connections, asking questions and inferring.